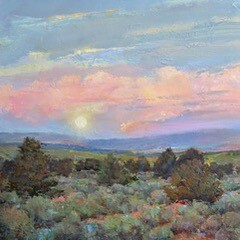 Jill Hartley’s palette knife oil landscape paintings have been described as luminous, glowing and ‘straight-up Wyoming’. 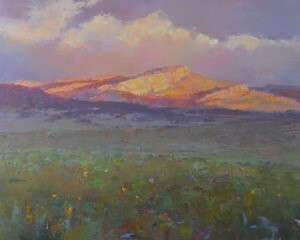 Born in Colorado Springs, Colorado in 1953, Jill absorbed painting and art-making at an early age. Both parents were painters and Jill grew up expecting to be a painter. After college in Colorado, Jill moved to Wyoming in 1976. The wide-open spaces with few people and vast skies felt like home and inspired her to get going with the painting career. Hartley painted in watercolor and acrylics before settling on oils. 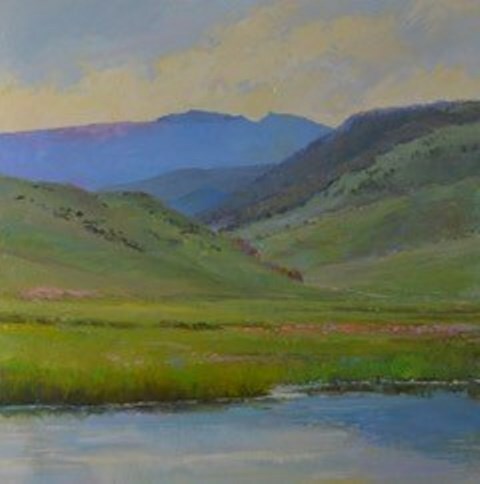 She states, “ Although I love watercolor and acrylics, I was looking for a medium which allowed a strong and versatile statement about the landscape, using light and texture.” She found what she was looking for when she developed her modified painting knife technique which involves a thick application of oil paint and contrasting textures with varied edges. 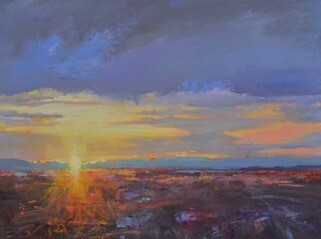 And today, she is known for her luminous, colorful landscapes that appear to glow. “I have even had viewers at shows ask how they are lit and look behind the painting for a light and battery,” she laughs. 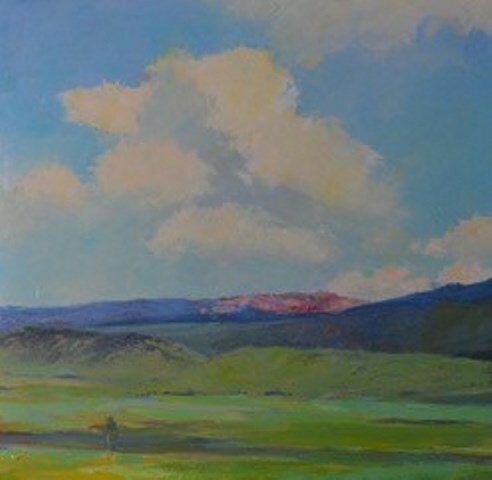 Hartley often begins a painting outdoors to capture color, light and shadow, and atmospheric perspective. 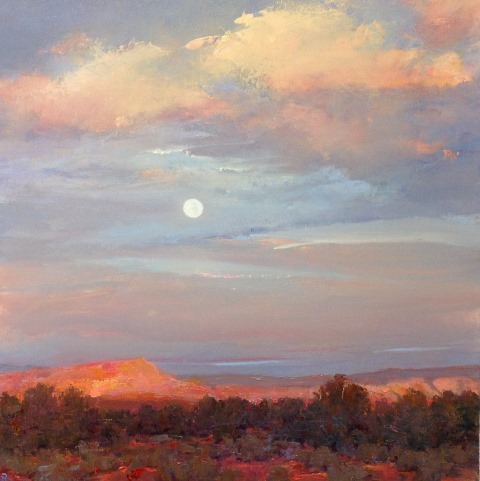 She notes, “I am primarily a studio painter, but plein air work is my indispensable lab, where I go to get the feeling of the day and bring it into my studio and into the painting.” Jill’s studio is located on the 320-acre Canyon Creek Ranch she and her husband own. 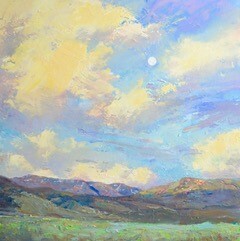 The remote location affords her the inspiration, isolation and peace to paint. 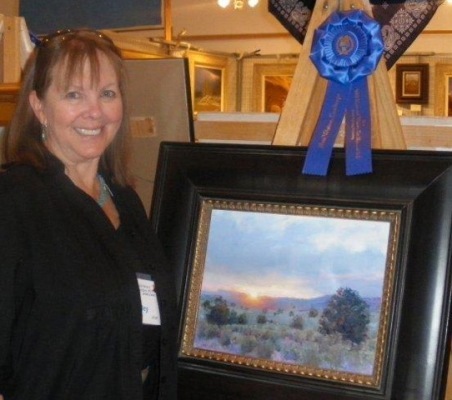 Jill’s work has been accepted and awarded in numerous national and regional exhibitions and has been featured in Southwest Art, Plein Air and Fine Art Connoisseur magazines. 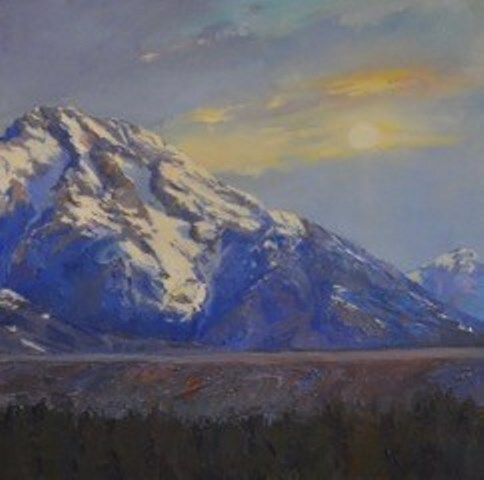 Her work is also included in the recent book Painters of Grand Teton National Park (D. Poulis, 2015).